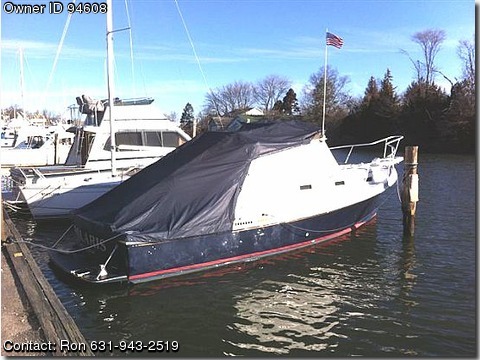 Call Boat Owner Ron 631-943-2519.Basic Decription: 1993 Cape Nauset 28' Bridge deck cruiser. 250 hp Cummins diesel with 1100 hours. including auto pilot and anchor winch. tank, Bow Thruster and swim platform. cover and an inflatable dingy and small outboard. maintained and only driven by a conservative pediatrician to church.